Nanna N. Collett founded Collett AS in spring 2008. 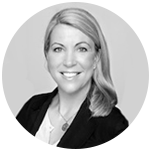 She has extensive broad experience from the recruitment industry, starting her career with Mercuri Urval in 1997. She has worked in HR-related positions for employers such as McKinsey & Company, Telenor Mobil, Microsoft Norge and Assessio. The latter trains and certifies test users in a variety of psychometric personality tests that are approved by DNV GL. Nanna is certified in all Hogan’s personality tests. Nanna’s main specialist areas are advertised recruitment, headhunting, assessment of final candidates and careers advice. She has a degree from BI Norwegian Business School majoring in recruitment, organization development and market communications. Tor works as an Advisor at Collett Search & Selection. He has got an MBA from NHH and solid international experience having worked in London for 20 years. Tor started his career in marketing which also included team recruitment and management. 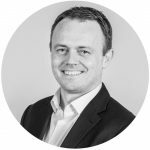 During the last few years he has worked in the recruitment and executive search industry. By combining his positive attitude and great people skills with a strong focus on the needs of the client, he always delivers. Fanny works as a Researcher at Collett Search & Selection. She is responsible for the mapping and analysis of relevant candidates and industries. 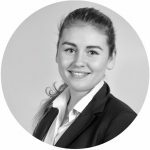 Fanny has got a Bachelor in HR Management from Høyskolen Kristiana, where she studied subjects like recruitment, working enviroment and psychology, and also organisation and management. In addition she has taken courses at Copenhagen Business School within economy and business law. Fanny has a genuine interest in people and often makes the initial contact with candidates.